In celebration of FOX’s new X-Men movie, Logan, opening in theaters this weekend, Mondo surprised us all with a new collection of Marvel portrait enamel pins by Tom Whalen! 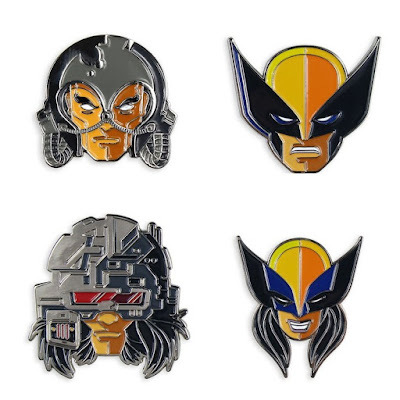 The Wolverine Marvel Portrait Enamel Pin Series is based on the popular X-Men comic books that the film is based on, and includes blue and yellow suit Wolverine, Weapon X, Professor X (with Cerebro) and the all-new Wolverine (aka Laura Kinney aka X-23). The Wolverine Portrait Enamel Pin Series by Tom Whalen can be pre-ordered now at the Mondo online store as a 4 piece set for $35 or individually for $10 each.